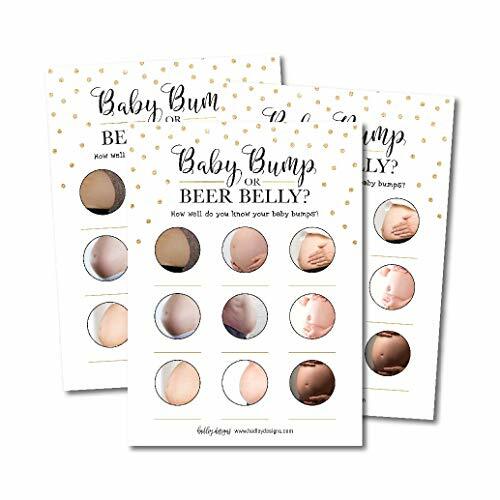 Why should you order your own baby shower beer belly or baby bump game cards? · Generous 5 x 7 size allows plenty of room to identify the picture. BONUS - The 5x7 size provides much more room for guests to fill in the blank spaces rather than a small 4x6 size. Why choose Hadley Design's Baby Bump Games? · Hadley Design's Beer Belly Games are a customer favorite! · It's the personal touch that make Hadley Designs baby shower games special. SHARE PRICELESS MEMORIES WITH FAMILY & FRIENDS: These can be handed out as a game during a baby shower or sprinkle, gender reveal party & any get together to celebrate the arrival of the new baby girl or boy! They make the perfect party supplies.